Ahoy Mateys! With colored gusset and handles, this cotton canvas boat tote is sure to be the envy of the high seas! This 14 oz. customized tote is the perfect size for boating, hence its name. 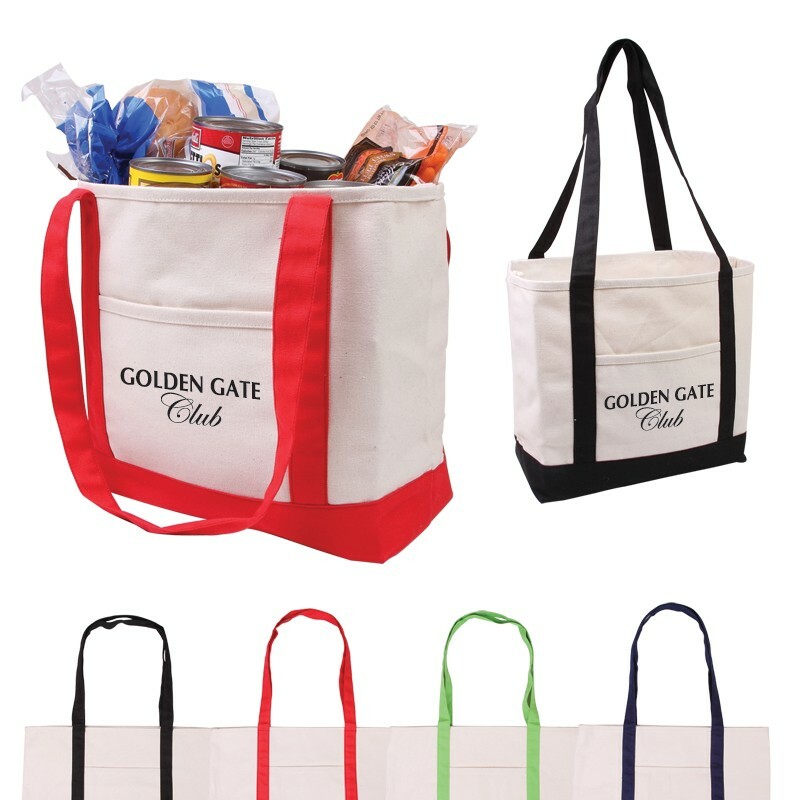 This is a perfect gift for new or prospective yacht club members, because you can fit all kinds of other good stuff in there that is boating and summer fun related such as sunscreen, sandals, etc.